The MSC Seaside is the newest and most modern ship in the world cruise and ranks among the 10 largest. The MCS Seaside, the newest ship owned by MCS Cruises, made a stop in Puerto Rico — the first U.S. it visits on its maiden trans-Atlantic voyage which began in Trieste, Italy on Nov. 30, local government officials said. Starting in 2018, the MSC Seaside will make a transit stop in San Juan every two weeks, representing an estimated economic impact of $9.9 million, Puerto Rico Tourism Co. Executive Director José Izquierdo said. “The arrival of this cruise ship is a reflection that recovery work after Hurricane María is moving forward and that the world still looks at Puerto Rico as a destination,” said Gov. Ricardo Rosselló. With a maximum capacity of 5,179 passengers, the MSC Seaside is among the 10 largest cruise ships in the world. Miami will be its permanent base port in the United States. The visits to San Juan will bring approximately 121,000 passengers annually to Puerto Rico, government officials said. “It’s a real honor that San Juan is the first American port the MSC Seaside is visiting. 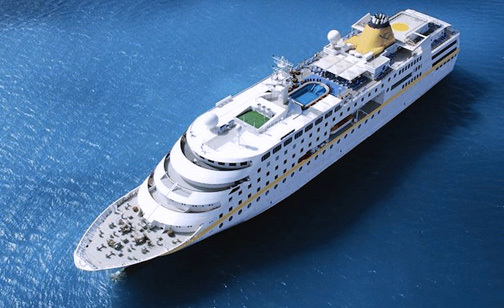 The arrival of this magnificent ship is the perfect event to mark what will be the week in which we officially reopen the doors to tourism on our island,” Izquierdo said. “We thank MSC Cruises for continuing to trust in Puerto Rico as a destination, and we will continue working to ensure that all these new ships visiting the Caribbean include our island in their itineraries,” said Izquierdo. As part of the MSC Seaside’s maiden voyage, which brings about 3,600 passengers, a plaque ceremony will be held between MSC Cruises and the government of Puerto Rico to commemorate the occasion. The Tourism Co. has also organized a series of special events and celebrations in Old San Juan to welcome passengers. Related tags : cruiseMCS SeasidePuerto RicoTourism Co.
Hey Buddy!, I found this information for you: "PR is 1st U.S. stop for luxury cruise ship MCS Seaside". Here is the website link: https://newsismybusiness.com/luxury-cruise-seaside/. Thank you.